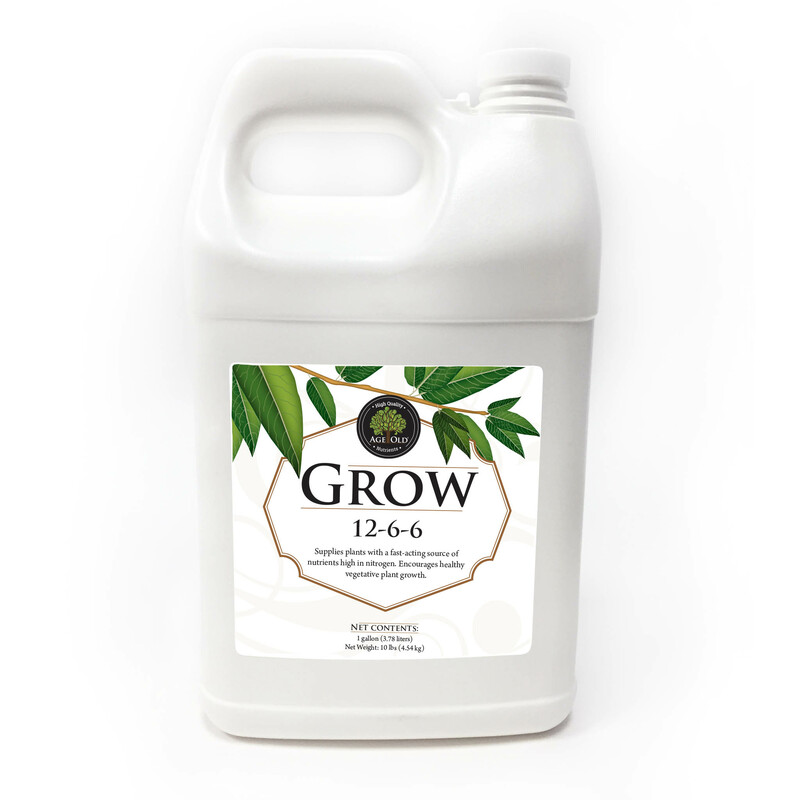 Grow is an odorless formula that supplies plants with a fast-acting, natural source of nutrients high in nitrogen. 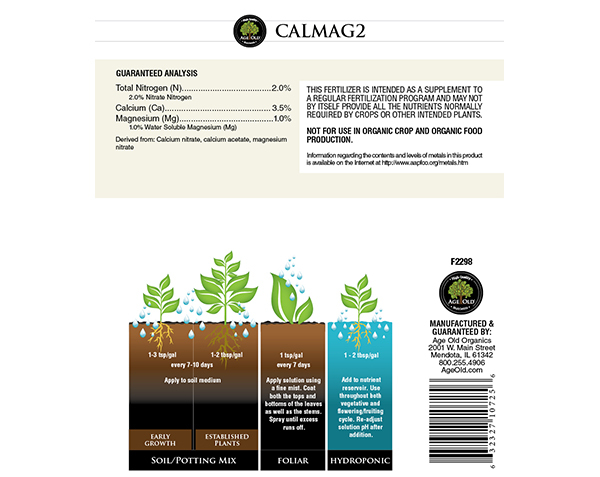 The high nitrogen levels encourage vigorous early plant growth and development. 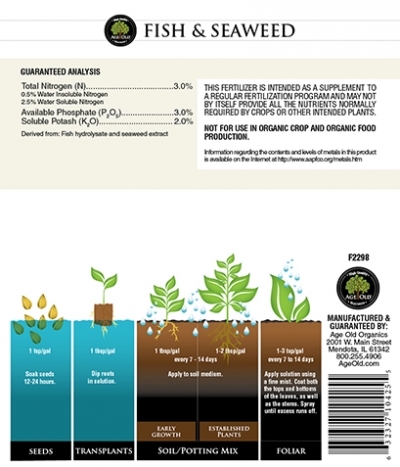 Grow can be used as both a foliar feed and soil drench. Use Grow on plants during the vegetative stage. 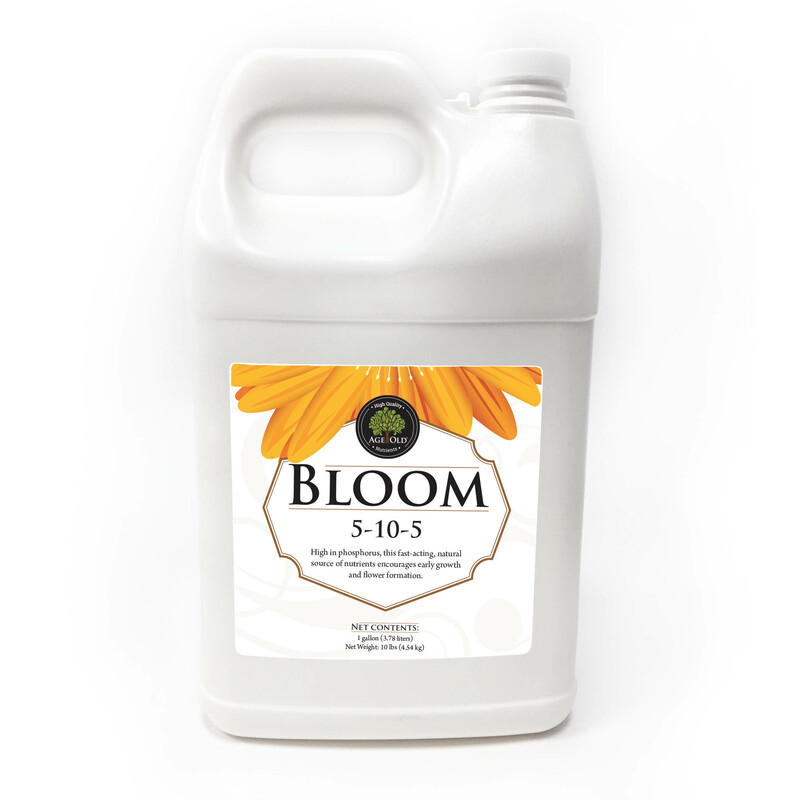 Bloom is an odorless formula that supplies plants with a fast-acting, natural source of nutrients high in phosphorus. The high phosphate levels encourage early flowering and better fruit set for most flowering and fruiting plants. Bloom can be used as both a foliar feed and soil drench. 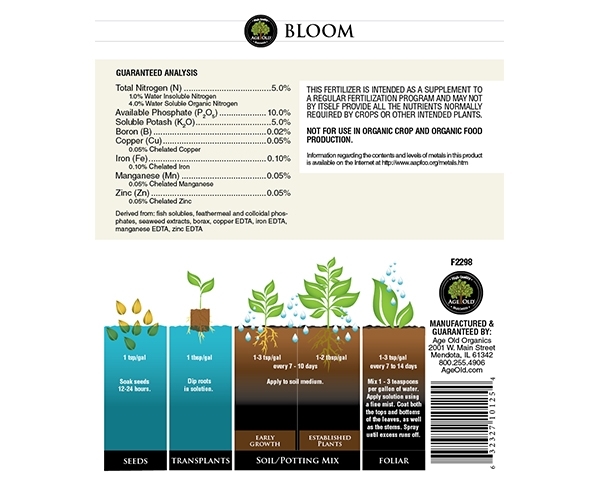 Use Bloom on plants during the flowering and fruiting stages. 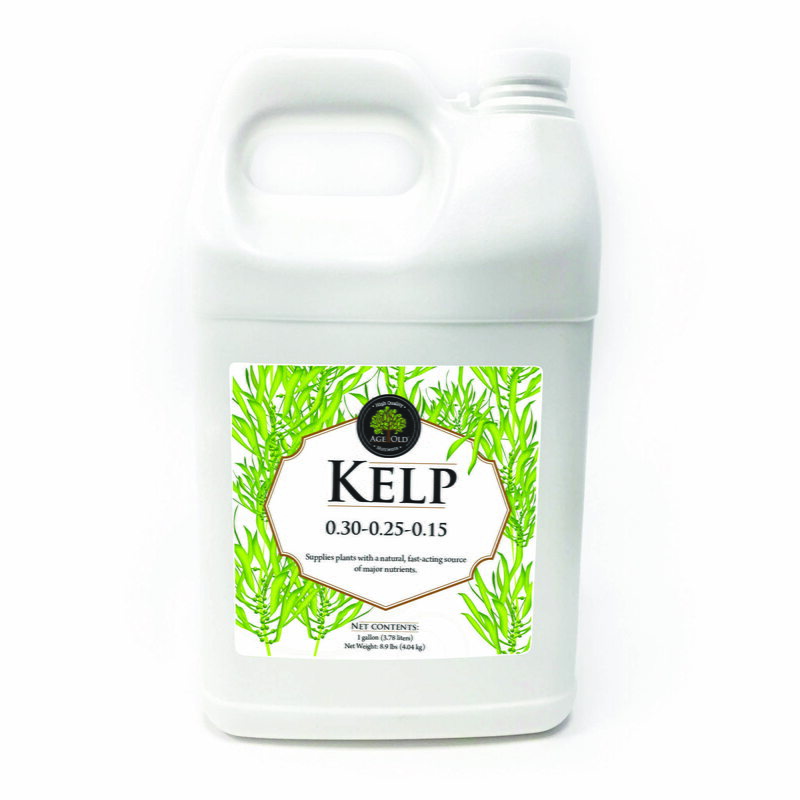 Kelp is made from Ascophyllum nodosum seaweed and supplies plants with a natural source of nutrients. 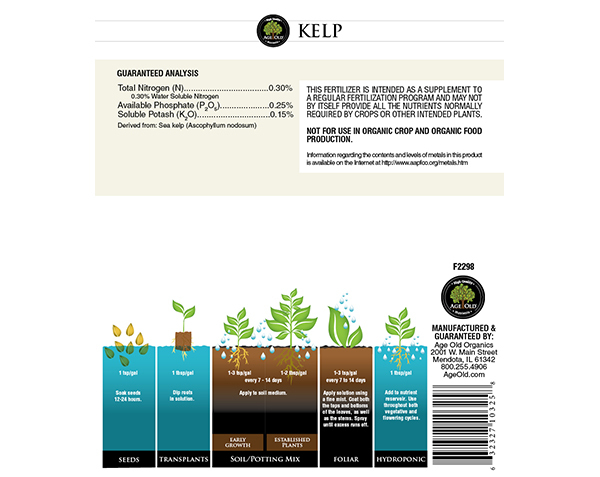 Apply Kelp as a soil drench to help build soil tilth and restore biological life to damaged soils. 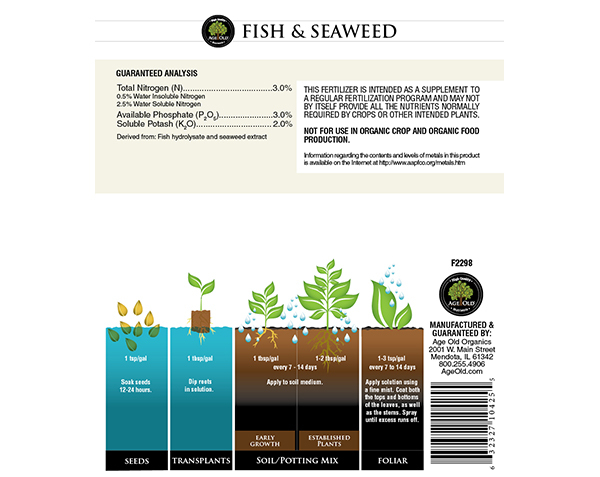 Fish & Seaweed supplies plants with a natural source of nutrients. 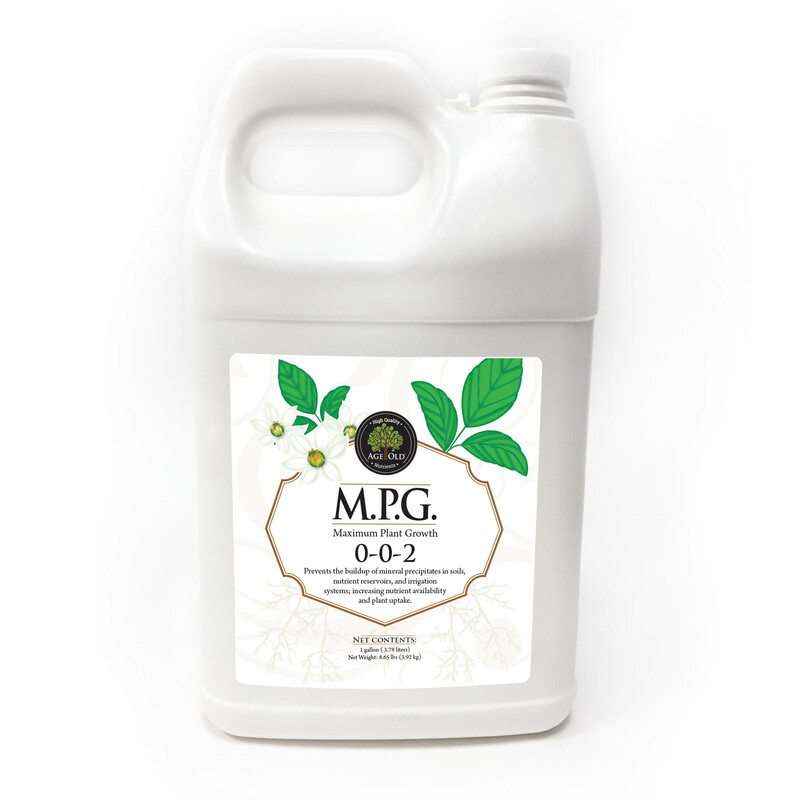 It helps encourage growth, flowering, and better fruit set for indoor and outdoor plants, trees, and shrubs. 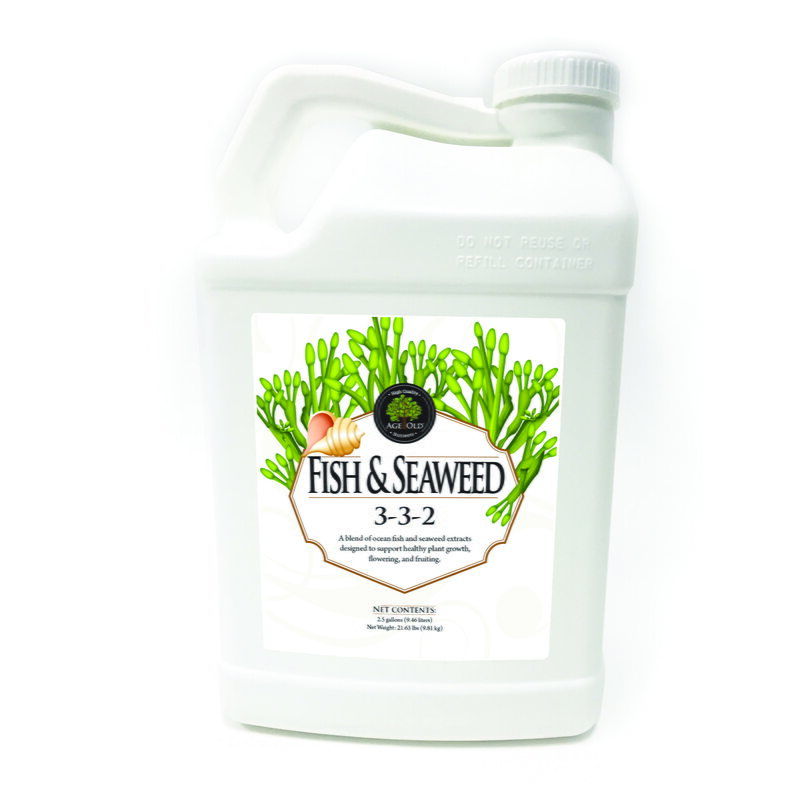 Fish & Seaweed can be used as both a foliar feed and soil drench. 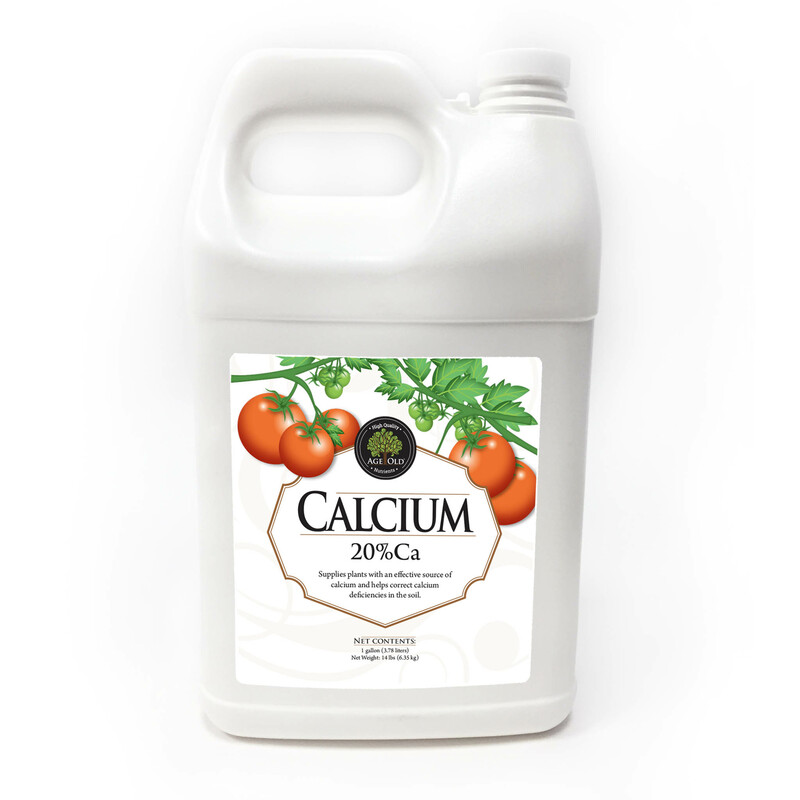 CalMag2 supplies plants with a fast-acting source of calcium and magnesium designed to prevent and correct problems that can arise from deficiencies, such as blossom end rot in tomatoes. 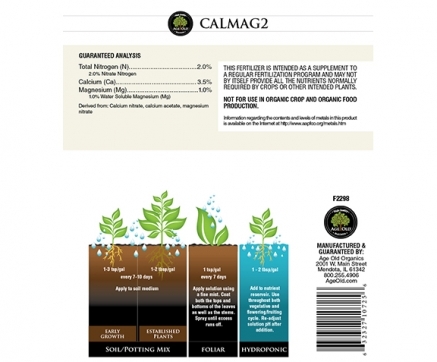 CalMag2 can be used as a foliar feed and soil drench. Calcium supplies plants with a natural source of plant available calcium that helps to prevent and correct deficiencies in both the plant and the soil. 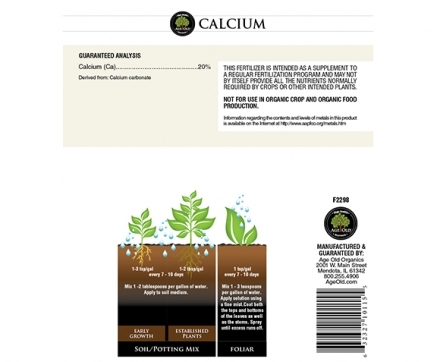 Calcium can be used as both a foliar feed and soil drench. 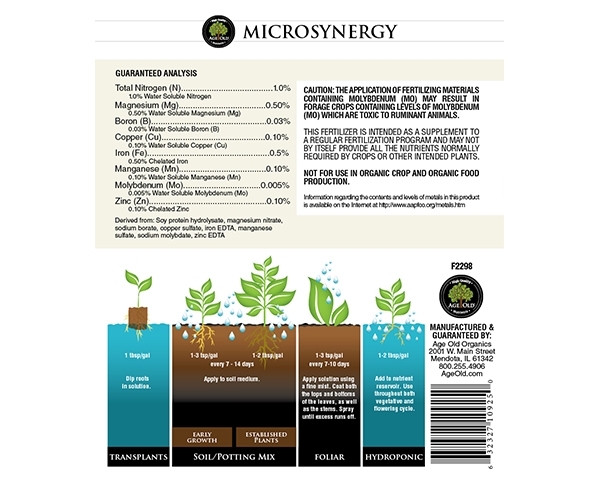 Microsynergy supplies plants with a balanced ration of amino acids and essential micronutrients. 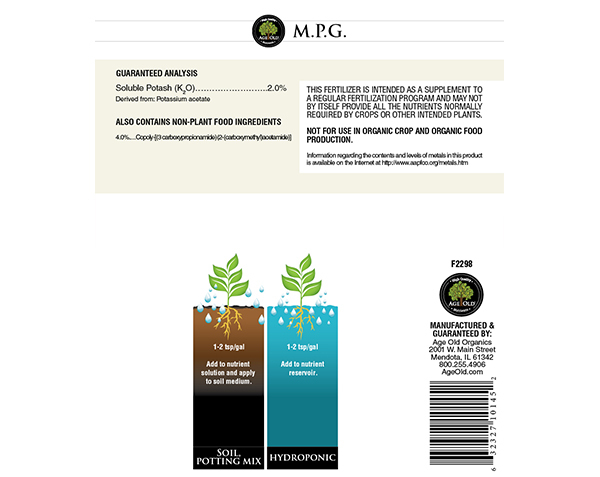 Microsynergy can help prevent nutrient lock-up in both the solution and the soil. 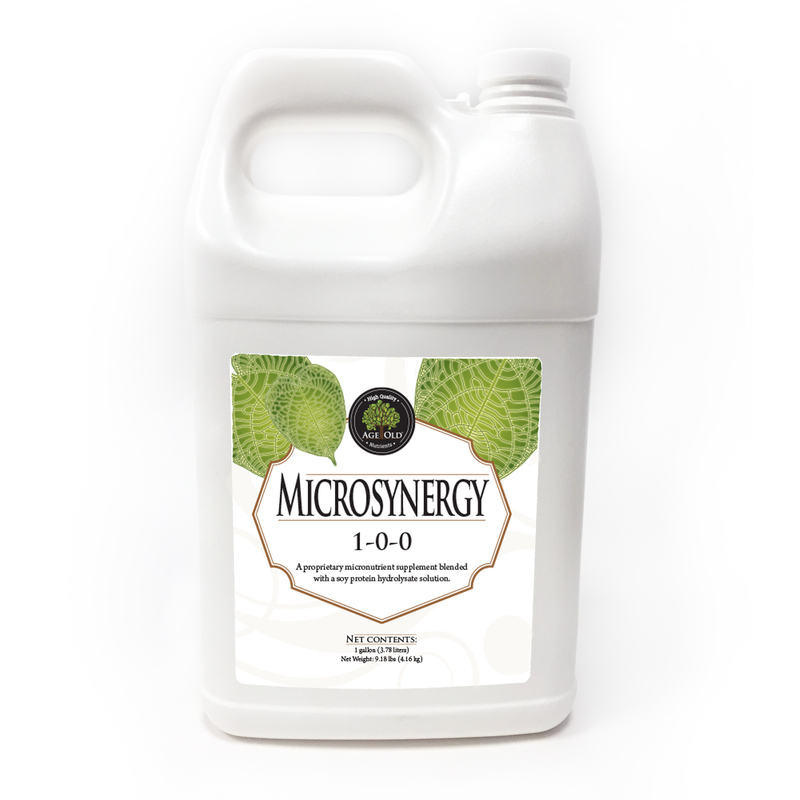 Microsynergy is a combination of soy protein hydrolysate and micronutrients that can be used as both a foliar feed and soil drench. 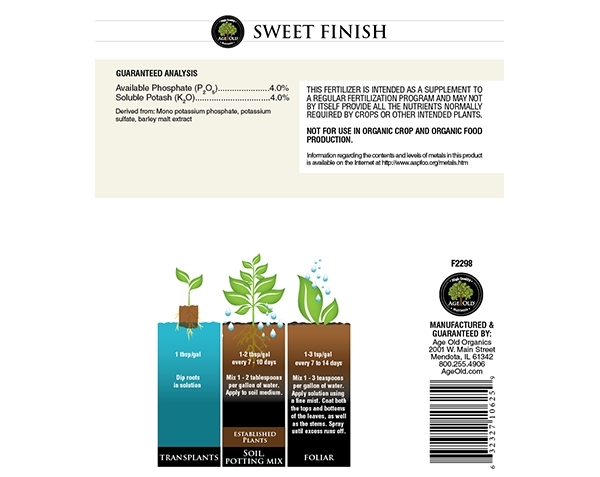 Sweet Finish supplies plants with a balanced ratio of phosphorus and potassium to help maximize the size and density of flowers and fruits. 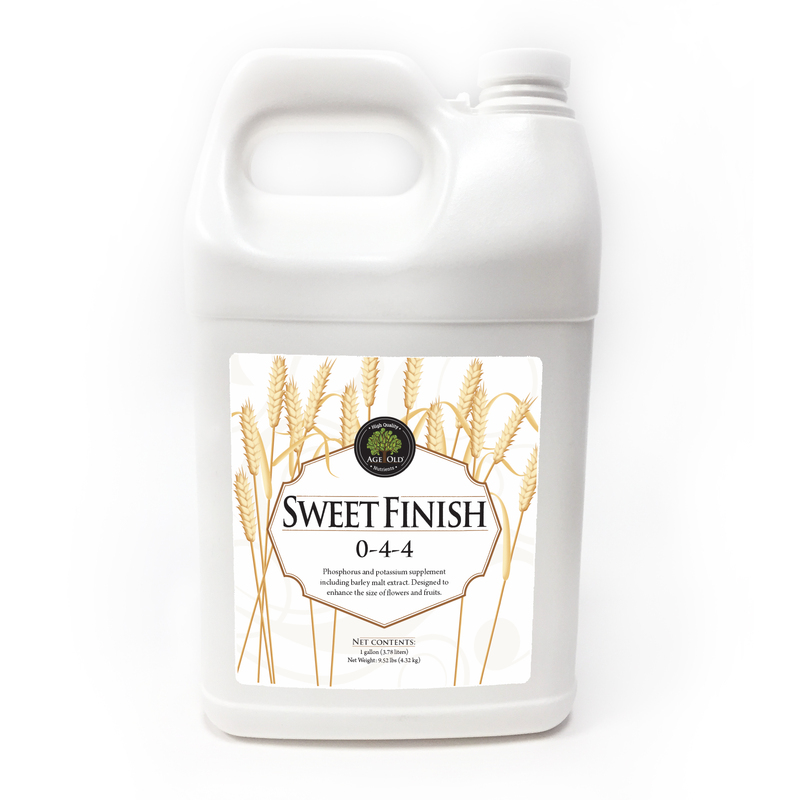 Sweet Finish is blended with a barley malt extract that provides plants and soils with extra carbohydrates. Sweet Finish can be used as both a foliar feed and soil drench. Humic works as a complexing agent when mixed into solution with micronutrients and may aid in their availability and uptake by the plant roots. Humic can increase the cation exchange capacity in the root zone resulting in better nutrient uptake. 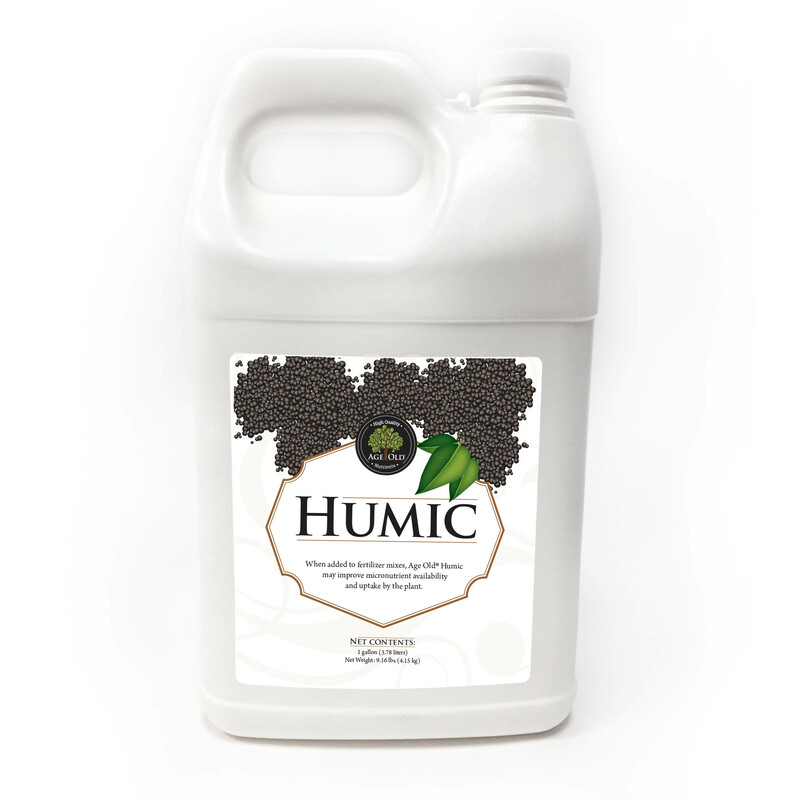 Humic is best applied as a soil drench and can help condition the soil, creating a more hospitable environment for soil microbes. M.P.G. 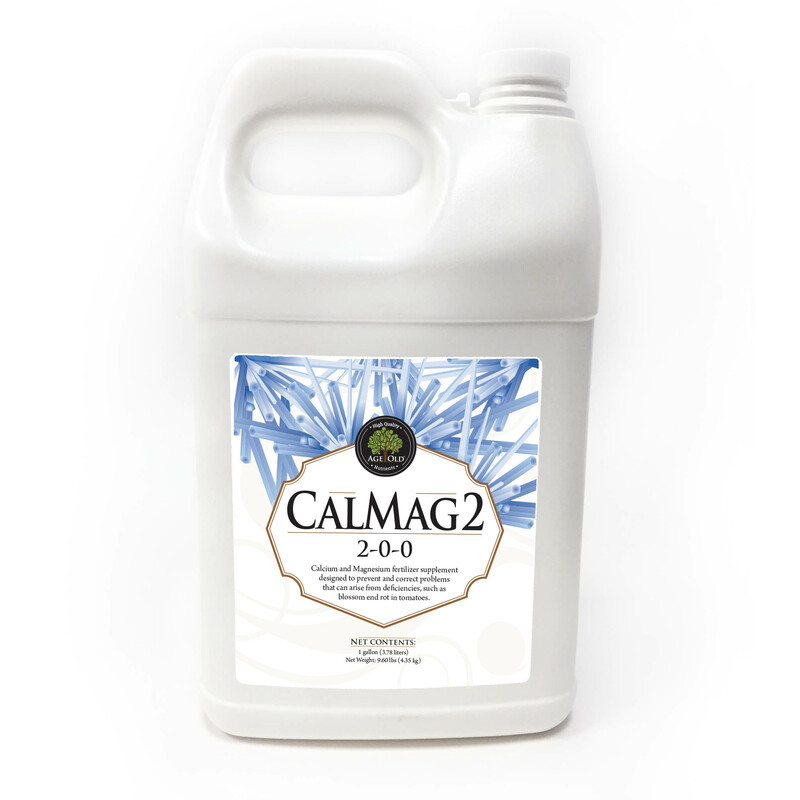 prevents the buildup of mineral precipitates in soils, nutrient reservoirs, and irrigation systems, increasing nutrient availability and plant uptake. 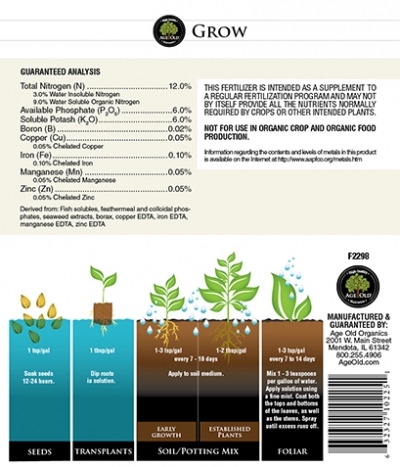 Root Assist is a natural-based soil conditioner and fertilizer blend that can be used as part of a biological based approach to plant growth and soil management. 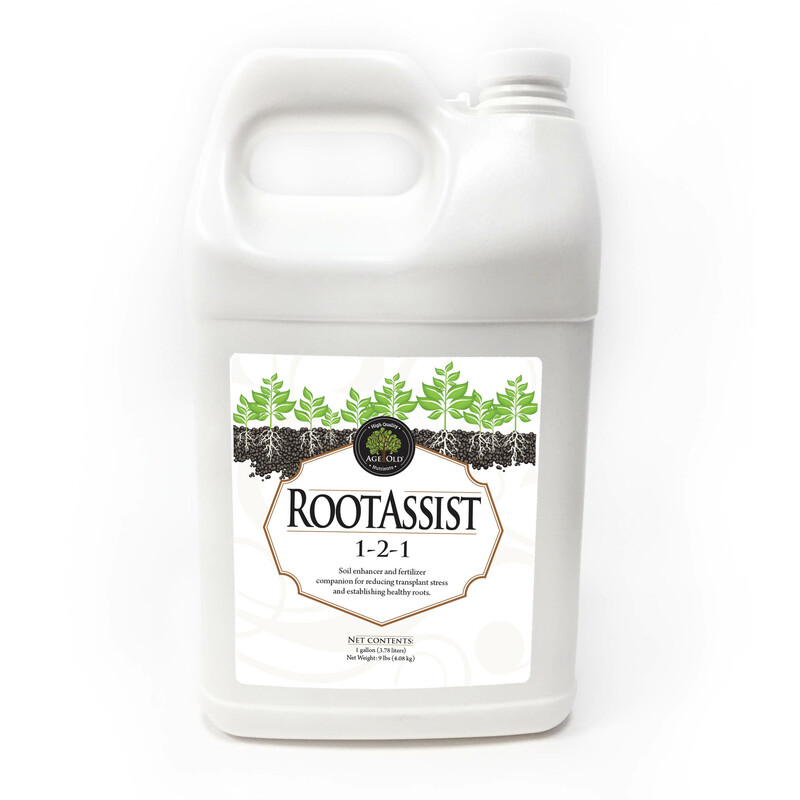 Root Assist is a complex blend of both Endo and Ecto Mycorrhizae and select species of beneficial bacteria. 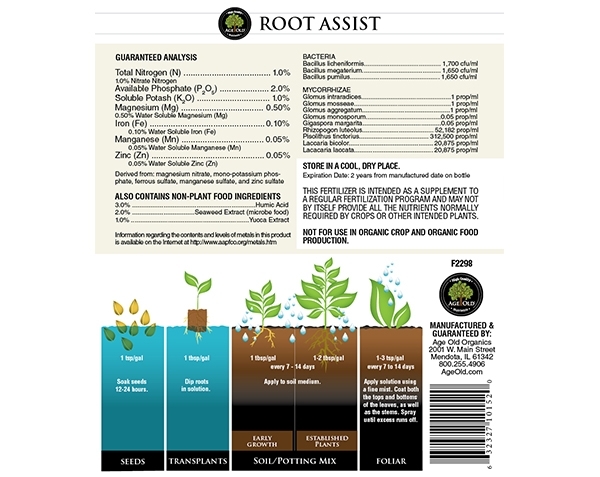 Root Assist can be used as both a foliar feed and soil drench, or as a root dip when transplanting.